It’s that time of the year again, and you look back at what has passed, and forward to what (you) might (want to) happen. 2018 has been a year with a lot of changes for me personally, both positives and negatives… like usual in life :) . In terms of “life/nature”, this year my travels have taken me from the too-cute tarsiers from Bohol in the Philippines, to North Sea seals who taught me you can actually take sharp shots @ 1800mm, hand held on a rocky boat (I could use that kind of luck better in this year’s lottery…), to red deers in our local national park Hoge Veluwe, where I learned again that when you think your photography day (or even year) is over, you might still get your greatest shot when you least expect it! I’m also happy to see an ongoing increase in visitors to my blog! Only 4 years ago, when I managed to decipher the intricate WordPress ways of creating and editing websites and posts, I started off with a whole and modest … 82 visitors, and 1 like! 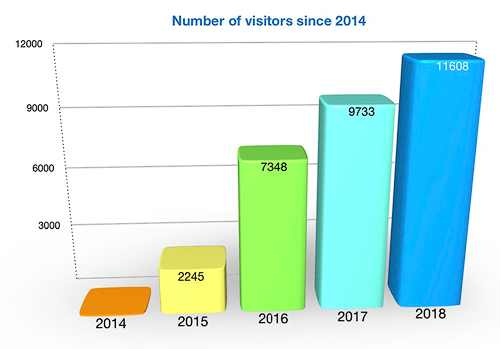 :) After a big jump in visitors in 2016 there is now an increase in visitors of around 2000 each year, much to my surprise, and really nice to see. When I was playing with the idea for this final post of the year, I was going through some of the gazillion images that have never made it (to any place for anyone to see…). 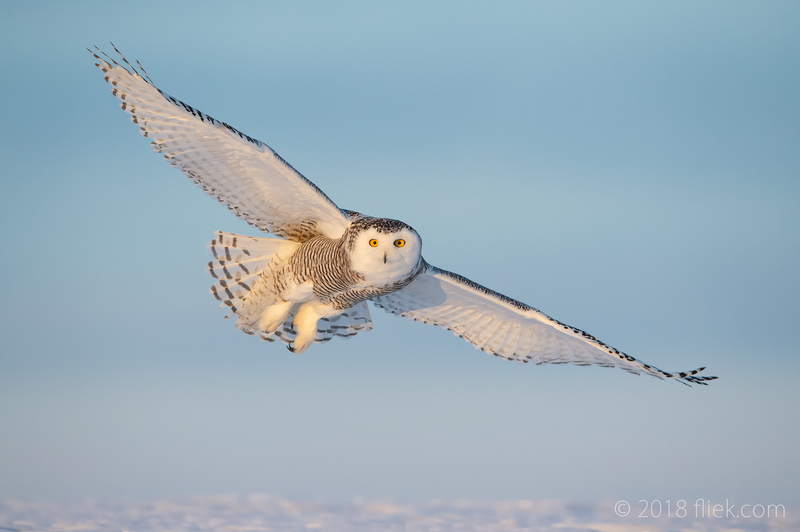 And going through that long list of RAW files, I came upon the shot below: nothing too special, another example of a snowy owl taking off. But it was the symmetry of the owl’s wings across the image and the position of its head which she (it’s a female owl) managed to keep horizontally, which kind of made me pause. And so I chose this shot to bid farewell to 2018, and fly into the New Year. My best wishes to you all for 2019 and may your Life and Nature (images) be plentiful, peaceful, beautiful, and wonderful. Nikon 600mm f/4E FL on Nikon D4S, f/5.6, 1/3200 s., ISO 3200, +1.0EV exp. comp.